How to write graphical applications using MetaTalk, a MetaCard scripting language. The nature and perception of sound, sound as an object in a computer and available software for streaming audio. 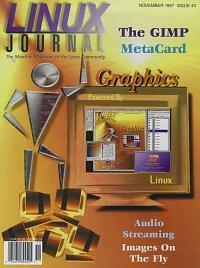 First of a four-part series introducing the GIMP, a Linux power tool for the graphics artist. New images from old, in real time.